The Nissi orphanage was created as a safe haven for destitute children. In line with the scope of the Strain Hunters Foundation, the Nissi Orphanage aims to give orphaned children the tools and education to provide for their own future. Poverty in the Narok District of Kenya is widespread due to very limited job opportunities, poor education and low school retention. Also Maasai culture (where a good percentage of men spend their early adult life as warriors in the forest), alcohol/drug abuse, inadequate infrastructure, wildlife/human conflict and limited natural resources etc. are contributing factors. The Narok District has also been severely affected by HIV/AIDS and experienced significant disruption during the 2007 elections. All of the above factors have resulted in a significant number of orphaned, abandoned and vulnerable children. Nissi is a registered organization that aims to give orphaned children the tools and education to help provide for their own future since 2006. The orphanage cares for 55 children, 25 of whom were orphaned due to HIV/AIDS (10 are HIV+), 4 were abandoned on the streets and 26 were displaced during the 2007 post-election violence. 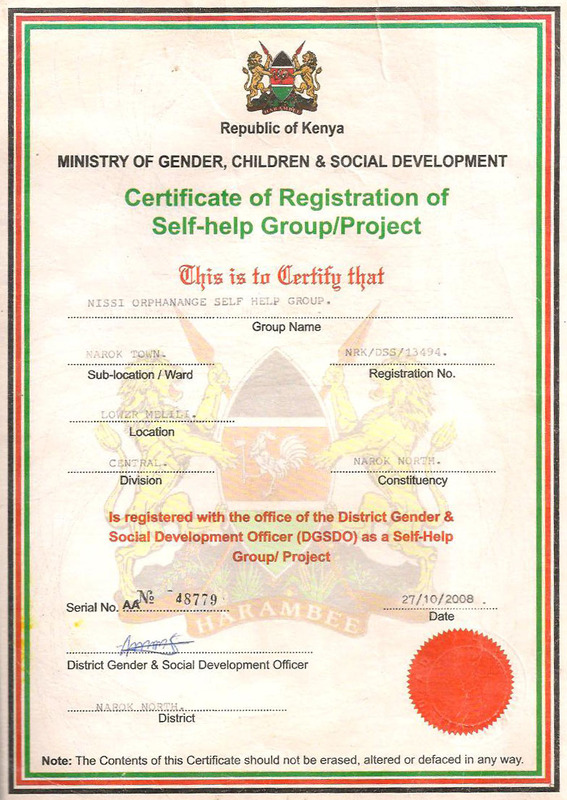 Of the total 25 are boys ranging in age from 4 -15 years and 30 are girls ranging in age from 3 -16 years. The Nissi orphanage is unique in the region and is located in simple rented facilities in Narok town. The orphanage serves the entire community and accepts children from all tribes and faiths. Nissi cooperates and collaborates with other groups in the community that are addressing the needs of vulnerable children. The orphanage is managed by 2 directors and a doctor, an accountant and a graduate teacher to complete the board. The board meets weekly to discuss programs and to make decisions. Nissi also operates a pre-school and primary school with the help of 8 volunteer teachers. The school has recently attracted an extra 45 vulnerable children from outside the region. Four volunteer caregivers support the orphans and work at the Centre’s kitchen. The school and the living quarters are on opposite sides of Narok. The Nissi orphanage tries to be as self-reliant as possible through sustainable farming and other economic stimulation projects. The orphanage currently operates a small-scale farm to provide the orphans with beans and maize. The farm also houses 150 chickens aimed to provide eggs for the orphanage. Apart from these farming efforts the orphanage survives almost exclusively on contributions from local benefactors. However, this support is drying up due to the poor economy. Government assistance is limited to providing free anti-retroviral drugs to HIV+ orphans. 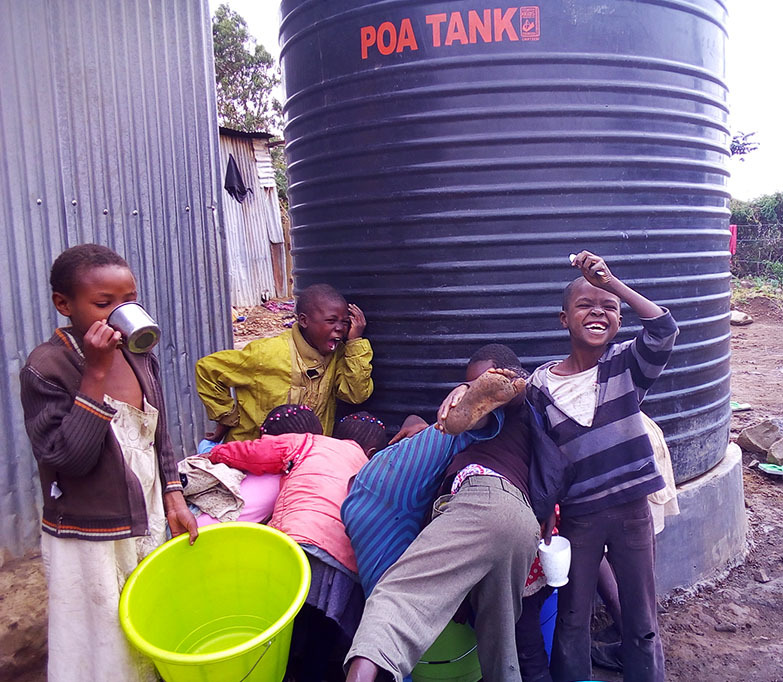 With such meager levels of assistance, only the most basic needs of the orphans can be met (for instance children sleep on shared mattresses on dirt floors). To boost its income the Nissi orphanage aims to start growing wheat and start farming on a larger scale to supply the local market. In addition the orphanage wishes to purchase broiler chickens to produce chicken meat as well as eggs. A 10,000 liter fresh water tank. The projected amount of money required for this project is $35,000. Please help the Strain Hunters Foundation help those who need it most by donating generously. Water shortage problem suffered over the past 10 years is now permanently solved! 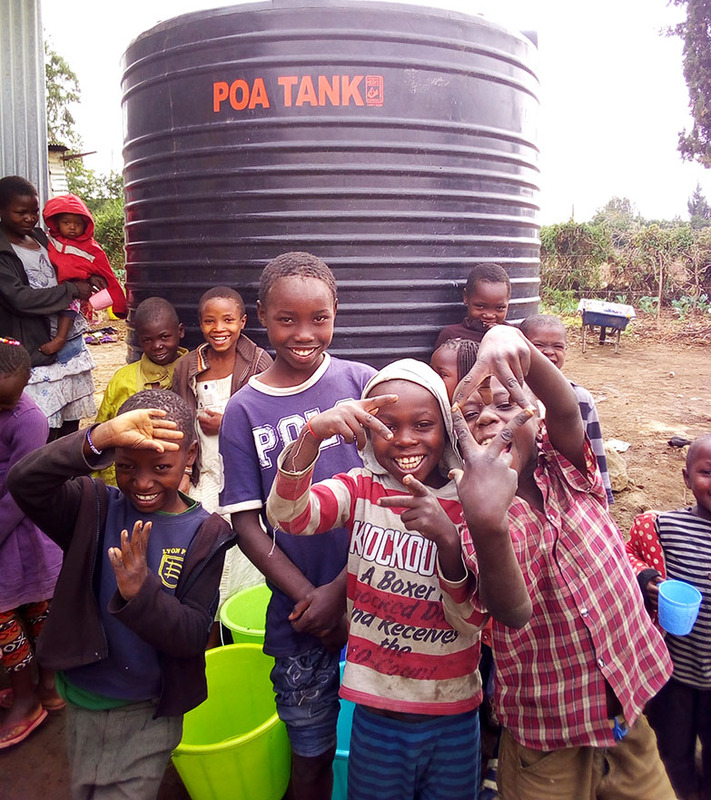 Orphanage children celebrate the installation of a water storage tank donated by Strain Hunters Foundation…. The purpose of the Strain Hunters Foundation is to support communities in the poorest regions in the world where Strain Hunters documentaries are produced. More specifically, the Strain Hunters Foundation aims to give people the tools and education to help provide for themselves.